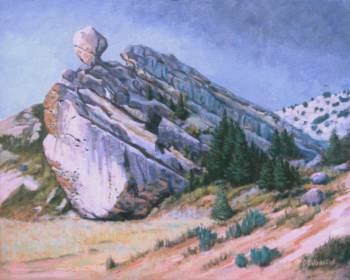 An authentic plein air painting is done on location in front of the subject. It is begun on site and substantially completed while experiencing the landscape firsthand. More than one session may be required to complete it, and each of these should also be on location. Some minor adjustments can be done back in the studio, but not so much as to alter the initial work done on site. The perception of the landscape subject is dependent on the conditions encountered while on site, like lighting, weather, textures and colors. The artist’s response to these is usually evident in the finished painting. Plein air paintings that follow this standard tend to have a quality that reflects the immediacy of the artist’s interaction with the subject. Beautiful! I just checked out many of your paintings and was impressed! Your journey will be so fulfilling when you have time to relax and paint to your heart’s content. Thanks so much for the compliment Brad. I’m really looking forward to my time on the road.